Are you ready for the TOEFL exam? The TOEFL (Test of English as a Foreign Language) exam is one of the most well known and difficult English exams in the world. The average person scores 80, but most top universities in the world require at least a 100 on the exam and some even higher. So how do you know if you are ready? Here are a few questions you can ask yourself to decide. Are you confident in your current English vocabulary level? Do you understand all of the English grammar rules? Is your spoken English at a high enough level? Do you understand the structure of the TOEFL exam? Are you comfortable using the expert tricks on the TOEFL exam? Can you confidently write an English essay? If you answered 'no' to any of those questions, you may want to speak with one of Live Lingua's TOEFL tutors. The first trial TOEFL class is absolutely free. You can speak with the tutor to see if they think you are ready for the TOEFL test and they can propose a study plan for you. No credit card required, and no commitment. If you are planning on taking the TOEFL exam on a computer then the test you should be studying for is called the iBT TOEFL exam (Internet Based Test). This exam is usually conducted in designated testing centers on special computers that are configured specifically for this exam. When taking the iBT TOEFL exam you may be with other people or you may be taking it alone. 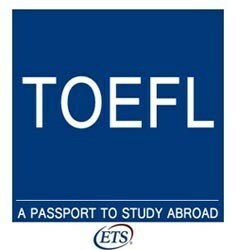 This is the most common way of taking the TOEFL exam. If you take the iBT TOEFL exam, it will comprise of the following sections. Do you have any questions about the iBT TOEFL exam? You can speak to one of our TOEFL tutors for free to ask any question you may have. They will speak with you and evaluate how prepared you are. The written TOEFL exam is much less common these days and ETS is trying to move to a fully online test taking environment. That being said, it does still exist in many parts of the world. If you are unsure of what is available in your area, please contact your nearest TOEFL testing center to find out. You can find a list of the authorized TOEFL testing centers on the ETS website here. If it turns out that you will be taking the written TOEFL exam, it will be composed of the following. Do you have any questions about the TOEFL paper exam? You can speak to one of our TOEFL tutors for free to ask any question you may have. They will speak with you and evaluate how prepared you are. Speak To A TOEFL Tutor Today! What makes Live Lingua TOEFL tutoring different from the local tutors or enrolling at a local language school? And best of all, we let you meet and speak to your future TOEFL teacher before having to commit to paid classes! The more TOEFL lessons you enroll in at the same time, the cheaper the hour of class gets. Still not sure if Live Lingua TOEFL tutoring is the right choice for you? Then just try a free lesson with one of our tutors to make sure. No risk, no commitment. Take a 60 minute trial Skype English lesson with one of our Skype English teachers. No credit card required. Our teachers have over 200+ years of combined work experience. Multiple PhD's and Masters Degrees. The first time I took the iBT TOEFL test I was so nervous I did really badly. I had studied all the books and even taken a weekend course at a local cram school. After that experience I decided to take 6 months to study and really do well the next time. I started with another service, but the classes were not good. Then a friend recommended to me Live Lingua English. I am very happy I found them. The second time I took the iBT TOEFL test I got 112! My advice to everybody who wants to take the TOEFL test is not to do so without first having sessions with Live Lingua English. The costs is cheaper than most private tutors and the quality is higher. [My TOEFL Tutor] was exactly what the doctor ordered. She taught me that expression. I am trying to get into a doctoral program in America and I could not have done it without her. She worked around my schedule and on the topic I needed to help me score higher than I needed for all the programs I wanted to apply to. I am very grateful.